The color may be the first thing that you notice when checking out a vehicle. It can make or break a vehicle’s appeal. Not only does it grab attention, but a great paint job can even increase the resale value of your vehicle. It can make an old rusted up car look like it just came off the factory line. Even more importantly, using the right paint will protect your car from rusting up. A vehicle’s exterior paint job is not only one of its most distinct features, but it’s also its first line of defense against extreme weather, air, water, salt, and other elements it may on the road. Unlike your average household paint, automotive paint has to be able to bind to the metal surface, which can easily rust if exposed to elements such as water, air, and salt. If the metal frame of your vehicle begins to corrode due to rusting, then your vehicle and your safety can be compromised. As time passes, scratches happen and paint chips, creating a perfect environment for rust spots to form. The best way to maintain your vehicle and prevent rust spots is through repainting. Whether you’re redecorating, restoring, or just touching up, the new paint becomes a hard protective surface that takes years off of your vehicle’s appearance. With a little bit of skill and courage, you can save a lot of money by doing it yourself. In order to help you find the best car paint for your project, we’ve reviewed some of the best paints on the market. Find out which is best for you! Dupli-Color has been providing high-quality automotive products since 1938 and continues to be one of the most trusted brands in America today! Their Perfect Match line of acrylic lacquer aerosol paint goes through an exact color match process to ensure a perfect match and is ideal for painting vehicle accessories and small touch-up jobs. The aerosol can comes with features that make painting easier is great for someone looking to paint their first car. Dupli-Color has developed a process to match original factory colors with high-quality automotive paint that is made from acrylic lacquer, which is easy to use and fast drying. Dupli-Color designed their EZ Touch nozzle to be easy to use and features a wide spray for applying the paint smoothly and evenly. The nozzle is easily adjustable and can be turned 360 degrees. The Perfect Match Premium Automotive Paint by Dupli-Color the perfect choice for small touch-up jobs. It's inexpensive, easy to apply, and provides great gloss and protection. ACDelco has a special relationship with General Motors and provides parts for over two million new GM vehicles every year, including vehicle paint that matches original factory colors. So if you own a General Motors vehicle and looking to do a little repainting, then it only makes sense that you look to ACDelco for the right touch-up paint. This paint applicator features a piston style pen tip that allows you to tackle the little chips and scratches and a brush applicator to take care of the bigger jobs. 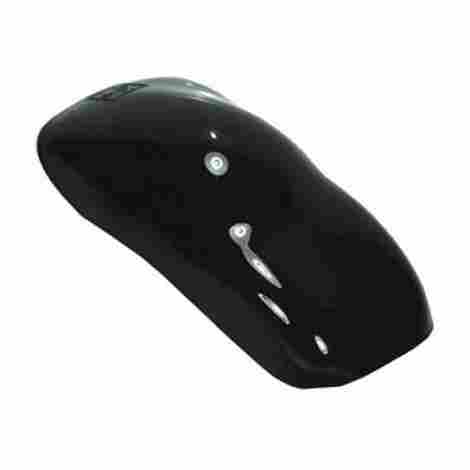 The touch-up paint tool also comes with a fiberglass cleaning and prep device. This four-in-one paint applicator comes with .25 ounces of exact match base color and .25 ounces of a protective clear coat that ensures paint lasts longer. The clear coat also gives your car a nice luster. For all GM vehicle owners, this four-in-one touch-up paint tool is a must-have. 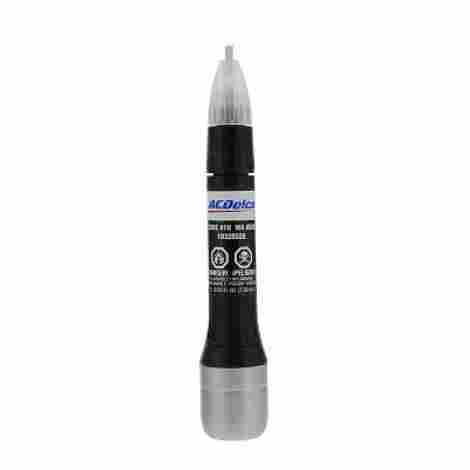 This easy-to-use applicator features a mechanical agitator that makes sure the color is a perfect match and is a great way to maintain your vehicle's protective paint job. For those small, do-it-yourself, touch-up projects, Dupli-Color offers the all-in-one touch-up paint tool. You have everything you need to prep, paint and seal chips and scratches in one compact tool that is easy to use. This compact and lightweight applicator can easily be stored in your glove compartment, allowing you to maintain your vehicle anytime and anywhere. Sometimes, it's those smallest scratches that stand out the most. The paint tool features a thin, needle point tip ideal for delicate, precision jobs, and Dupli-Color duplicates all factory GM colors. It also has a brush sponge for bigger jobs. Unlike a full body paint job, a quick touch up should be just that, quick. Use the applicator to first apply the color paint then the clear coat and after about 20 minutes it will be dry to the touch, which is great for preventing damage to the new paint job. This is a must-have for any GM vehicle owner looking to keep their vehicle looking like new and protected with the necessary touch-ups. This all-in-one tool allows you to remove rust and paint, clean the area, and then repaint the car surface. Taking care of your car's body with high-quality paint and a protective clear coat that is resistant to acid rain and UV rays is important. Just as important, is protecting and maintaining the underside of your vehicle. Every time you drive, the tires kick up rocks, sticks, debris, and other items lying on the road. Using the right undercoating paint will ensure that your vehicle is protected from these elements and more. Why use other brands when you can use the best? 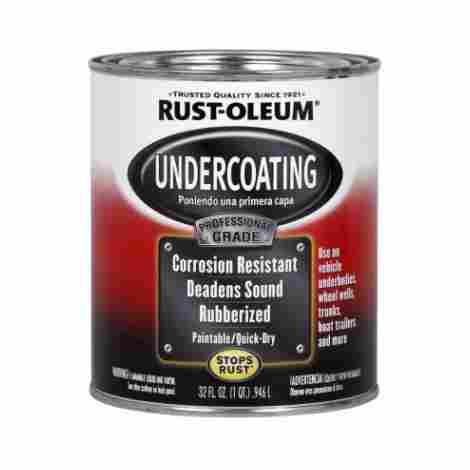 This undercoating paint by Rust-Oleum is made from a special formula that protects from corrosion and rust and is strong enough to be used on recreational vehicles, trailers, and trucks. The undercoating is easy to use and once applied, it quickly dries into a durable rubberized coating. This coating not only protects the underside of your vehicle from salt, water, and other chemicals, but it also deadens the sounds for a quieter ride. Protecting your car's frame is vital in prolonging its lifespan as well as keeping the vehicle's passengers safe. This professional grade undercoating offers the protection you and your car needs for a decent price. Mopar's solid black touch-up paint was designed to match the same color black that top vehicle producers, Chrysler, Dodge, and Jeep, use for many of their top-selling cars, trucks, and SUV's. The tool's specially designed brush applicator makes these small projects a snap and allows the paint to flow out smoothly for an even application. Black is one of the most popular choices when it comes to choosing the color of your new vehicle. It's elegant, sleek, and easy to care for. It also improves the resale value of the vehicle. 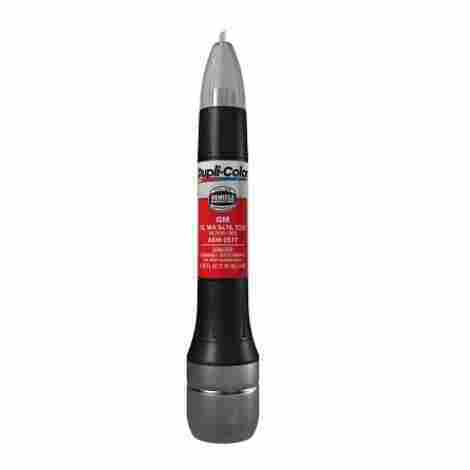 Keeping the body's paint job well maintained is not only important but easy with this black touch-up applicator. Applying the paint properly is just as important as matching the color. If you don't clean the area or put the right amount of paint on the surface, you will not get the results you are looking for. The brush applicator on the pen makes applying the paint easy and ideal for inexperienced painters. 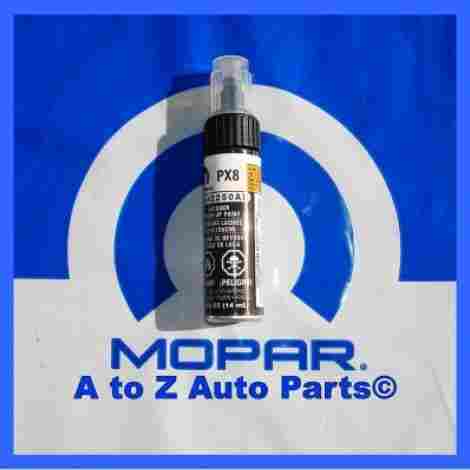 Mopar's touch-up paint bottle is a great buy for anyone who owns a Jeep, Dodge, or Chrysler and wants to keep their vehicle looking flawless. The easy-to-use brush applicator makes this one of the most popular choices on the market. Having a smooth and straight surface to paint on is important if you want the paint to look uniform and flawless. Even the smallest scratches or chips can allow air and other harmful elements to make contact with the car's metal body. Simply painting over the damaged surface without first using a primer can make the situation worse and you'll just end up doing the same job over again. 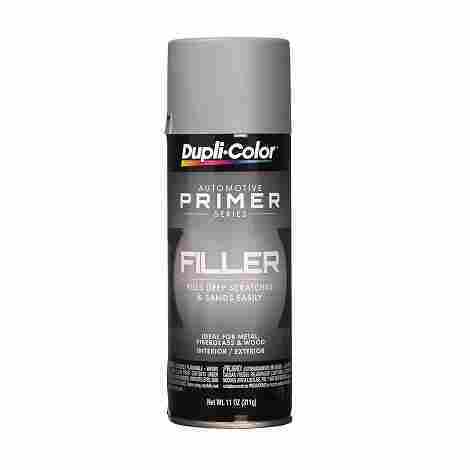 Dupli-Color's Primer Filler in an aerosol can allow you to easily paint over and fill in these imperfections. In order for the automotive paint to stick properly to the vehicle's metal surface, the area needs to be cleaned and leveled. 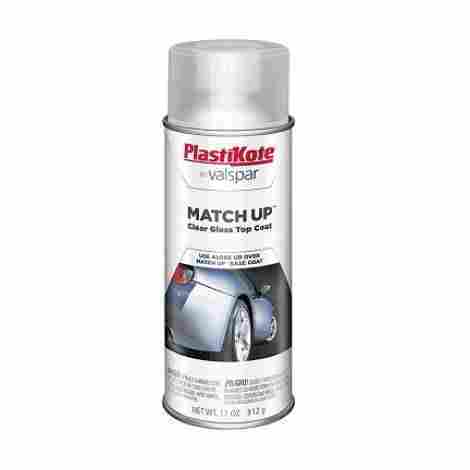 This filler spray is able to fill in deep scratches and other minor imperfections and create a surface that improves paint adhesion. As an industry leader, Dupli-Color has made improvements to automotive products that make them easy for everyone to use. One of these innovations is the EZ touch fan spray nozzle, which was designed to help beginners get that professional look they strive for. Painting your vehicle is an important decision, and if you decide to through with it, make sure it's done properly. Applying a coat of filler paint will ensure that your new paint job will look professional and last a long time. 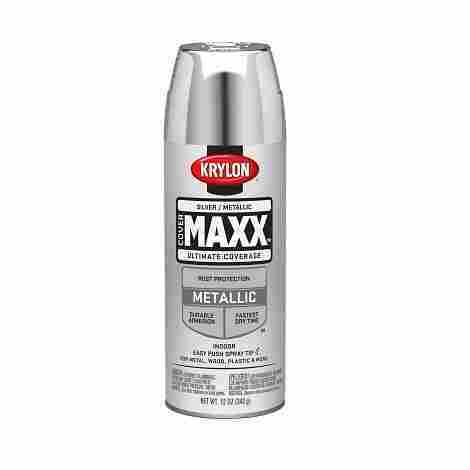 This can of paint and primer mix spray from Krylon is a great choice for automotive paint jobs both, small and large. Krylon leads the paint industry with products that make painting fun and easy. As one of the first companies to supply aerosol paints, they sell more aerosol paints than any other company in the world. It dries very fast and can be used on a number of different surfaces. Over the 70 years, Krylon has produced paint and painting accessories, they have always worked to improve their products and be the best on the market. This paint and primer mix paint will protect your car from rust and dry in less than 10 minutes after application. It's important that you're able to control the stream of paint if you want a smooth a flawless result. The CoverMaxx aerosol spray can feature an easy push nozzle that allows you to manage the paint. This can of spray paint is the lowest costing product on the list and is also one of the most versatile. Although it works great for body touch-ups, you can also use it on wood, plastic, ceramic, and glass. You've just bought your dream car, that old Chevy that you've always wanted as a kid. However, it needs some work, including an all-new paint job. You want something that looks sleek and bold. Restoration Shop's high quality, jet black acrylic enamel paint system comes with everything you to get that old vehicle sparkling like new again. This includes a gallon of restoration auto paint, a pint polyurethane hardener, 190 Micron nylon strainers, and paint mixing sticks. You never know about the quality of chemicals that are being used in paints that are made in other countries. Restoration Shop manufactures all their products in the United States of America to ensure that it meets the highest automotive standards. Preparing the perfect mix ratio of acrylic enamel color and hardener is vital in creating that glossy wet-look finish that gives your vehicle a shine that lasts for years. This restoration kit comes with exact amount needed for the mix to provide you with the best results. Restoring an old vehicle can be costly and time-consuming. Restoration offers you a single stage system that is great for DIY enthusiasts and the pocketbook. Sometimes the biggest pain with touch-up painting is finding a color that perfectly matched your vehicle. This universal clear coat can be used to protect any color from any brand. PlastiKote uses high-quality acrylic lacquer paint that is durable and fast drying. Their special formula is made to resist nicks and scratches while providing a long-lasting, shiny look. Protecting and maintaining your vehicle can help you save money in the long run. Using a clear coat over the touch-ups provides an extra coat of protection and will ensure less rust structural damage. Krylon's paint and primer finish is ideal for small and quick jobs and easy enough to use that even beginners are pleased with their results. With both, paint and primer, mixed in one can, you can skip a step and still the smooth and durable finish you are striving for. This special mix of paint can be used for more than just fast touch-ups as it adheres to a number of different surfaces including glass, wood, and fabric, making it the perfect choice for your next project. For many projects that deal with deep scratches or chips, a primer is needed to ensure a smooth and flat finish. 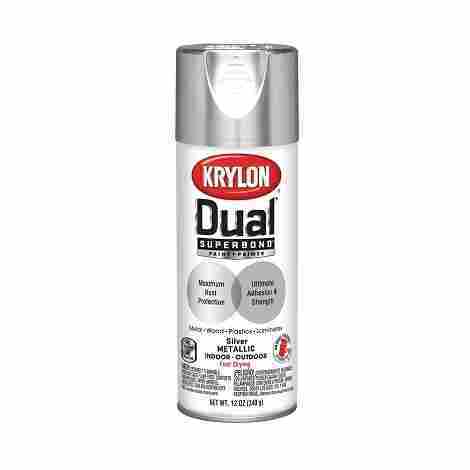 Krylon's Dual Superbond paint allows you to fill those scratches while painting at the same time. One of the biggest issues many face when using aerosol paint spray cans is the consistency of the spray. Krylon designed this spray can with their patented EZ Touch Dial Spray Tip that can also turn 360 degrees for the ultimate control. This is the least expensive item on the list but still provides everything you need for those small touch-up jobs. If you want to paint some of your vehicle's accessories, this will work on those as well. Giving your vehicle a new paint job will not only improve its overall appearance, but it also adds to the resale value while protecting it against elements that cause corrosion and rusting. There are many different types of paints to choose from, and each has their benefits and drawbacks. If you plan to do the painting yourself, you may want to take into consideration your skill and experience level when choosing what type of paint you want to use. Price and desired outcome also play a major factor in what kind of paint you should use. Take the time to learn the process and use the helpful review above to find the right paint for your needs. Lacquer – Acrylic lacquer was most commonly used before the 1970’s, but has many advantages for inexperienced car painters. It is easy to apply and leaves your car with a beautiful glossy finish. It’s not as popular as it once was due to being hazardous to spray, however, you can also hand rub it on. It’s not very expensive, but it does chip easily. Enamel – You’d most likely find acrylic enamel in professional body shops and in garages of more experienced painters. It comes in spray cans which were made to be used with spray paint guns and is usually applied in a two-step process, including a clear top coat and a base coat. It doesn’t come out as smooth as the lacquer paint and can leave an uneven look if not properly applied. Enamel is the least expensive of the three acrylic based paints used for automotive paint and is baked on for a soft, glossy finish that lasts a long time. Urethane – Acrylic urethane is a newer option for automotive paint and combines the easy, smooth administration of lacquer paint with the durability and longevity of enamel paint. This type of paint does cost more than the other two, but it is a great choice for anyone looking to do a DIY car painting project. You can get a beautiful, long-lasting result if you have the patience it takes to prepare the paint. To prepare urethane paint, you will need to combine three ingredients together; a paint reducer, paint color, and a catalyst to help speed up the drying time. This can also be applied in two steps with a base color coat and clear top coat. You must always keep safety in mind when handling urethane paint as it is very toxic. Water-Based Automotive Paint – If you are looking for a more environmentally-friendly option to painting your car, you’ll find that some of the newer types of vehicle paints are water based and avoids the harsh solvents typically used to suspend color pigments and attach it to the cars metal surface. This is great for do-it-yourself home projects and is commonly used for car detailing, however it can also be used for the car’s body as well. Although water-based auto paint is not as strong as enamel, a coat of acrylic urethane on top can give it extra protection. Solid Finish – This is the most basic finish and is available for almost all cars, with the exception of most high-end vehicles. It’s one of the most common options and includes popular car colors, red, white, black and blue. It’s usually applied as a single coat and then covered with a lacquer coat, which gives it a wet, shiny look while protecting the paint from scratches, chips and other outside elements. Using solid color car paint is very cost effective and is easier to maintain over time. Most minor scratches and stone chips can easily be repaired with a touch-up pen that can be found at most local automotive supply stores. A popular version of solid color paint that most manufacturers and car enthusiasts use is called, two-pack paint, which is a mix of acrylic paint and an isocyanate hardening agent. This blend creates a type of colored superglue that eliminates the need for an extra clear coat and quickly dries when cured with heat. If you plan on using this type of finish at home, you’ll need a paint compressor and a respirator to avoid inhaling the toxic mist. Matte Finish – The matte finishes come in a variety of different solid colors, with black or grey being the most popular. Many liken the style to the type of finishes found on 1930’s hot rods and is now more commonly seen on higher-end vehicles like BMW. The dull effect is achieved by having a high PVC content in the paint, a high epoxy volume in the primer coat, or adding a flattening agent in the lacquer coat. Matte finishes are harder to maintain and require special care when you get a scratch or chip. If you use your basic abrasive polish you’ll end up leaving gloss patches on your vehicle. Metallic – Metallic paint is basically solid paint mixed with powdered metal, most likely aluminum powder, in order to give off a sparkling and shimmering effect. It’s much more appealing than a basic solid color and doesn’t cost much more to upgrade. The metallic particles allow the paint to reflect more incident light which gives your vehicle more of a shine. It also does a better job at hiding minor dings and scratches and looks better for a longer period of time compared to normal solid paint. The biggest issue with metallic paints is trying to find a perfect match when it comes time for some retouching and maintaining. It’s even hard for some authorized body shops to match some metallic paints. If the color is off even a little bit, it will definitely stand out. If you plan on painting your vehicle’s body in metallic paint, it’s always a good idea to keep and store the leftover paint for touch-ups. Pearlescent – Pearlescent paint is very similar to metallic paint, but instead of metal particles, ceramic crystals are used. These crystals no only reflect the light, but it also refracts it as well, which creates different colors. As the paint allows some light in, it slows the light down and gives the color a sparkle while changing the tint depending on the position you are viewing it from. Although pearlescent colors produce more shimmer and depth than metallic colors, it is also more expensive. It also suffers from the same drawbacks as metallic colors, such as finding a perfect match for repairing chips and scratches. Q: Do I need to wax my car after a touch-up? For the best results, you should wait at least a month after adding fresh paint to your vehicle before you use wax. You should also make sure that you remove the wax before you start to paint. Wax and other paint contaminations like oil and silicone can cause fisheye. These can be removed with regular liquid dish soap or prep solvent. Do not use regular car soap because it usually contains car wax. Q: Do I need to take any special precautions when using car paint? Q: I have had some problems with bird droppings and now my car is starting to rust. How do I fix this issue? Unfortunately, bird droppings are very hard on a car’s paint job, and if there is rust, you will have to repaint that area in order to stop this. Q: Do I need to prep my car before painting it? Absolutely! It’s vital that the surface you plan on painting on is rust free and clean, otherwise, the paint will not bond properly to the metal. First, you’ll have to sand the area and clean it from rust and chipping paint. If the car is not properly sanded, there’s a good chance your paint will peel. Q: Do I need to use a sealer, and is there a difference between that and paint sealant? A sealer, which is also known as primer, is used to straighten your vehicle’s surface for a more uniform paint job. The sealer is applied before the paint and is a great way to fill those chips or scratches before a touch-up. A sealant is applied over the car’s finish to create a shinier look and protect the vehicle from acid rain and ultraviolet rays. Q: Does repainting my car affect its resale value? That would depend on several factors. If you’re talking about vintage cars and collectible cars, a full restoration with new paint job can make it more desirable. Research also shows that cars that are painted in the traditional red, white, black and gray, are easier to sell than custom-painted vehicles. Q: I’m planning on painting my vehicle, what steps do I need to take? Find a well-ventilated area that you can use for a few days. Make sure that you have all your protective gear, including goggles, respirator, and a long-sleeved shirt. Wash the car and make sure it’s free of dirt and debris. Strip the paint and rust away by sanding the areas you plan on painting. Use cleaning rags and thinners to clean the dust off and wait until the area is completely dry. Use masking tape and plastic sheeting or newspapers to cover the areas you don’t want to paint. Cover the entire area you will be painting with a quality primer. The primer gives the paint a smooth and consistent surface to attach to while avoiding color variations. Single Stage – This process is simple and preferred among the less experienced painters. The paint already comes with the pigment, additives and ultraviolet protection mixed together in a can. All you have to do is apply it to the vehicle. Base/Clear – This process involves two steps. First, you apply the base coat, which contains the color, and then you apply a second coat of clearcoat. This will give your car’s appearance more luster than single stage paint. Q: I'm Planning On Painting My Vehicle, What Steps Do I Need To Take?